MAY 2012 We were entertained by the ladies who had just returned from PWR Retreat in Arizona. 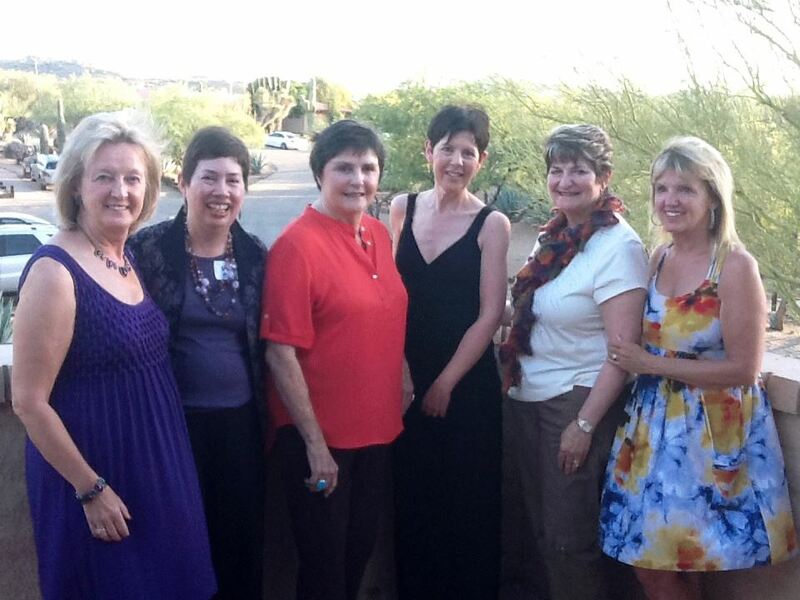 Check out the photo of our travelers: Susan, Marlene, Pearl, Laura, Joan and Charlie. They said that the retreat was terrific for caregivers as well as PD patients. They learned tons of new tricks on keeping healthy. We’re gonna make sure they keep on task and maybe some of it will rub off on the rest of us! Dr. Brandabur stressed that walking is a miracle and we should do everything in our power to exercise to keep it going.